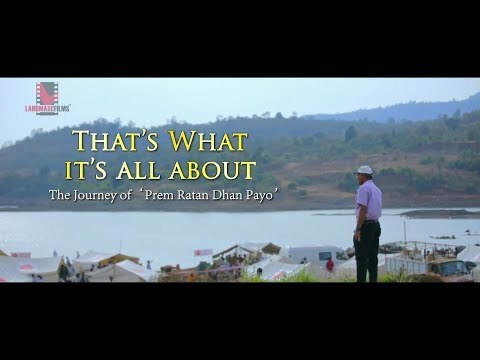 Two Legends – Sooraj Barjatya and Salman Khan – 16 Years After : One of our greatest storytellers, he has narrated enduring sagas of love, family and life to India’s millions. Our greatest superstar, the heartthrob of India’s millions. 16 years since they worked together, now they reunite to create yet another story of love and intrigue in a family of India’s vanishing royals. As we filmed the scenes behind the scenes, capturing the minutest details that go into making an Indian musical of this magnitude, a very different set of emotions unfolded.